Rebellion Against Captivity in East Ghouta? Since 2013, countless thousands of Eastern Ghouta civilians have been held captive by US-supported terrorists – preventing them from fleeing to safety. Syrian General Hetham Hassun compared the enclave to East Aleppo before its liberation by Syrian and allied forces, greatly aided by Russian airpower. Jihadists throughout Syria are supported by Washington, NATO, Israel and their Middle East partners, supplying them with heavy weapons, Pentagon contractors training them in use of chemical weapons – when used falsely blamed on Assad. 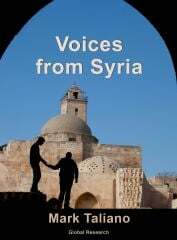 “Now exactly the same is taking place in Ghouta. Western countries train and provide militants with weapons and essential goods. They also provide information support” to jihadists. Washington turned East Ghouta into a “terrorist stronghold.” Civilians in Idlib province are also held captive by US-supported terrorists. So are thousands of Rukban refugee camp civilians – discussed in earlier articles. US forces operating illegally in southeastern Syria continue blocking humanitarian aid from reaching them. 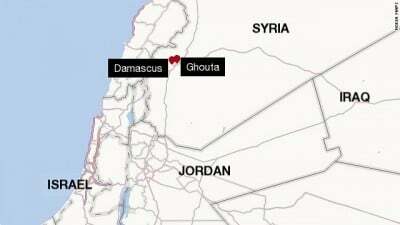 Clashes with US-supported terrorists left four civilians and three jihadists dead. Dire humanitarian conditions exist in the enclave. Militants continue shelling access routes to Russia’s humanitarian corridor. Snipers use live fire on civilians trying to leave. Conditions are “strained. Since (Friday), snipers have been shelling at approaches to (the humanitarian corridor) check points, Zolotukhin explained, adding they fire on anyone trying to reach access routes. According to Zolotukhin, numbers of residents calling for help to flee from jihadist control increased markedly – explaining dire conditions in captivity and jihadist brutality. Two children managed to escape, helped by government forces. “(M)edics and psycholgists are working with them,” Zolotukhin explained. Throughout years of US-led aggression in Syria, committing high crimes of war and against humanity, Assad has been falsely blamed. UN High Commissioner for Human Rights Zeid Ra’ad Hussein is a mouthpiece for US imperial ruthlessness. “Syria(n) (officials) must be referred to the International Criminal Court” for prosecution – ignoring US-led responsibility for turning the country into a charnel house. Syrian forces liberated “a half dozen (Eastern Ghouta) localities in the last 24 hours,” according to AMN news. Russian aerial operations struck a terrorist convoy attempting a counteroffensive – forcing “surviving elements to retreat,” AMN news explained. The battle to liberate Eastern Ghouta from US-supported terrorists continues. It’s just a matter of time until trapped civilians are again free.